When father of eight, Josh Malone, invents a genius a way to fill 100 water balloons in 60 seconds, his invention "Bunch O Balloons" becomes an overnight success on Kickstarter and an international viral hit! Scrambling to get his idea to market and bring financial security to his family, Josh applies for a US Patent. Suddenly, his plans of success are blindsided when his genius idea is stolen by a big company before he can make his first dime! Thrust into a battle to save his invention he uncovers the shocking truth that our patent system is weakening, property rights are at risk and American Innovation is dying! 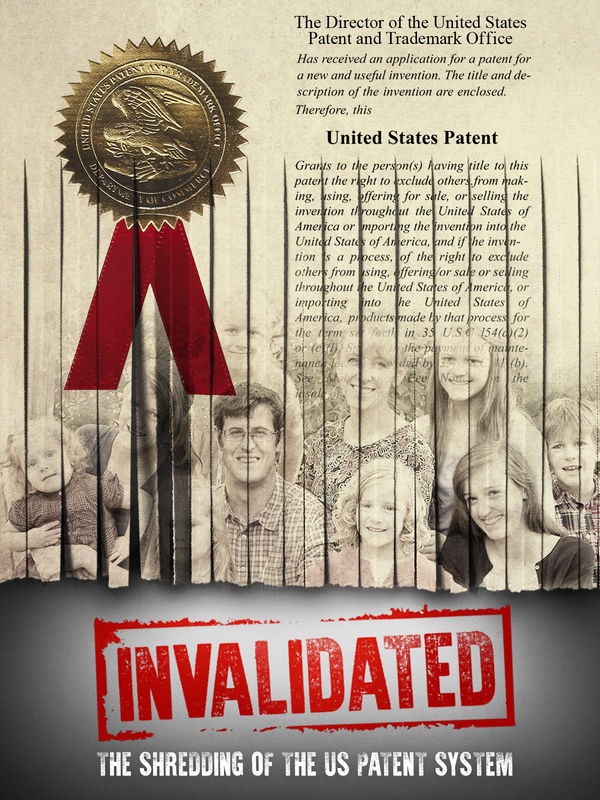 Interviews with experts like former Attorney General, Ed Meese, Inventor and Congressional Representative, Thomas Massie, Antonin Scalia Law Professor and IP expert Adam Mossoff provide shocking information about the state of the weakening US Patent system. Other inventors share their stories of theft, patent invalidation and difficulty finding investors for their patented innovations. Ken Blackwell, Leoard Leo, Dr. Matthew Spalding and conservative leader Dan Schneider all provide valuable insights into how the current system is harming Americans and the american innovation economy. With theft of US intellecutal property by China topping $600 billion per year, other countries are profiting off the ideas and labor of american inventors. Big tech companies are finding it easier and cheaper to infringe on patents rather than pay the patent owners. With an administrative tribunal pulling patents back from inventors, there is no safe place to bring an invention to the marketplace in America and our innovation is going overseas. The United States once led the world in new medications, new technology, and new ideas. American inventors and their inventions touched the lives of people in every country, of every race and every language. But our weakening Patent system is INVALIDATING their property rights – and with it, their incentive to create. Money and inventions are now going to other countries, and with them go jobs and a strong economy. Building something and owning it IS the American Dream, but without a strong patent system, the American Dream will be invalidated! In Runaway Slave, which was released in theaters, Rev. C.L. Bryant journeys across America to find answers. A one-time NAACP local chapter president, Rev. Bryant discovers that by buying into the entitlement mindset of "progressives," the black community has traded one form of tyranny for another. Using leading black conservatives as "conductors," Rev. Bryant believes it is time for a new Underground Railroad to help liberate all Americans from the Government plantation that has left the black community dealing with a new form of slavery: entitlements. "Why are we still thinking we are not free at last? What ideas are keeping us down?" Rev. Bryant asks. "For too long, we have been depending on other people for our success. We have to pursue our happiness; our happiness is not provided to us. If we are relying on someone else for our well-being, that in itself is a form of slavery." "The size and scope and reach of government is the new plantation! 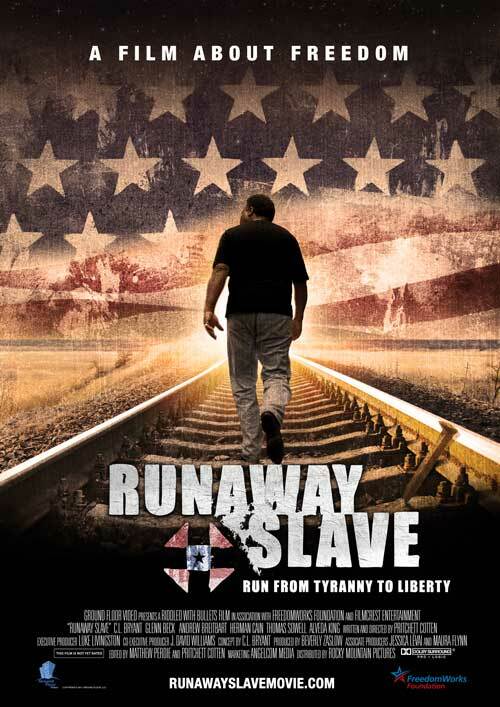 All patriots must watch Runaway Slave! " "It's time conservatives take on Liberal Hollywood. You must see Runaway Slave. It's great!" "
The Tea Party movement of 2009 shocked the political establishment, the nation at large and left a big media machine dizzy in its wake. How did it happen? Where did it come from? Now, experience the story of the movement that's driving our national dialogue against big government spending and a Constitution under assault. 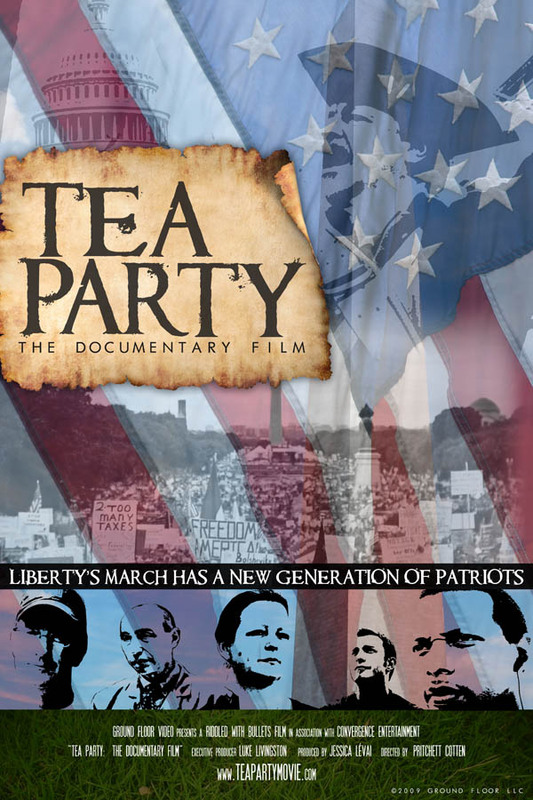 "Tea Party: The Documentary Film" follows the struggles of five grassroots individuals and their transformation from home town rally goers and rally organizers to national activists in the 9/12 March on Washington. In the process, the film reveals what is at the heart of this nationwide surge of civic engagement - a return to and respect for a Constitutionally limited government, personal responsibility and fiscal restraint at the Federal level. >>CLICK to PURCHASE Tea Party Movie on DVD at Amazon. "Should be seen by all Americans of any stripe to understand how regular citizens can influence the course of government. " "Inspires any red-blooded American to action. Leaves you wanting more! " 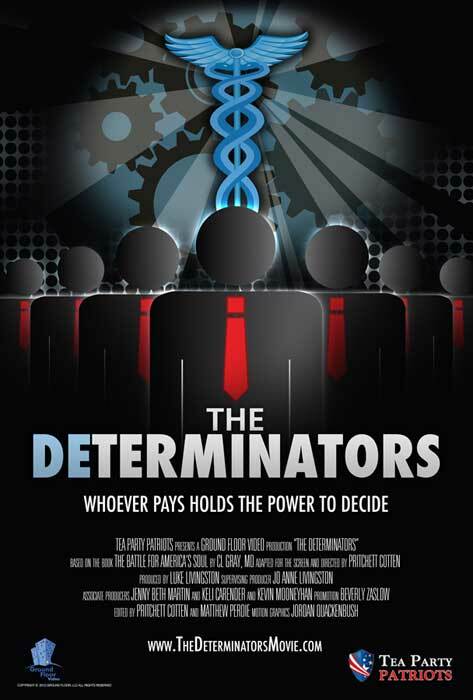 - Big Hollywood, Review of "Tea Party Movie"
The Determinators is a chilling story which uncovers the dark underside of the massive healthcare reform bill that, once fully implemented, will significantly threaten the way Americans live...and die. Based on the book "The Battle for America's Soul" by CL Gray, MD. The Determinators features leading experts in the field of healthcare who have studied the law and its impending ramifications. The Determinators highlights several of the worst elements of Obamacare that big-government bureaucrats want to keep hidden from the public until it's too late. It's information people need to know before they decide how to vote. "This film offers a gripping perspective on the ultimate stakes of the healthcare debate. A must see film. " "...Every American should see this program. 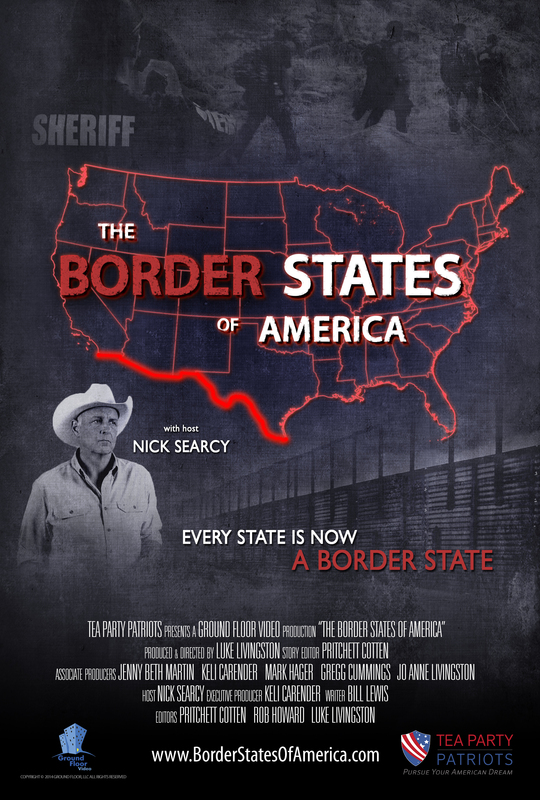 It will help you to understand we have a battle raging for the life and soul of America... "
Ground Floor Video pulled out all the stops bringing onboard international film and television star Nick Searcy to host their brand new documentary film The Border States of America. You may know him as Art Mullen on the FX original Justified, but as a California native Nick Searcy is one celebrity who takes the issues to heart, "If you want open borders, why don't you want open front doors? Don't you care who's coming in and out of your house? Then why don't you care who is coming in and out of your country?" says Searcy. The October 16, 2014, Los Angeles premiere of The Border States of America is the 4th nationally-syndicated documentary created by the Woodstock, Georgia based film studio.The Border States of America graphically tells the honest story of what’s actually taking place on the U.S./Mexican border. Ground Floor Video crew members traveled hundreds of miles in helicopters, trucks, vans and cars with local sheriffs and Border Patrol agents along the Rio Grande to capture the reality of America’s first line of defense. The result is unlike anything heard from Washington, D.C. In just under an hour, GFV’s The Border States of America dispels any preconceptions that America’s southern border is secure. Countless illegal aliens are coming across the border every day. Drug smuggling and human trafficking are the rule rather than the exception. Would-be immigrants from dozens of nationalities are paying “coyotes” to smuggle them into the U.S. Once they’re across, they disperse all over the country. Often, they bring with them dangerous cultures and even diseases. As the documentary points out, because of the ability of illegal immigrants to move freely around the country, all states in America are, in actuality, border states.